Naaga Kanyaka is the new Malayalam Serial coming soon on Malayalam Channel Surya TV. This serial falls under the category of supernatural fantasy thriller. 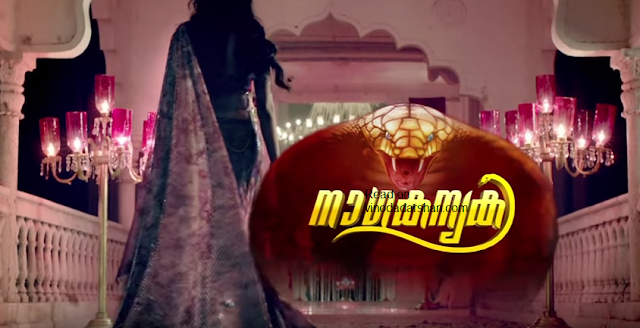 It is the malayalam dubbed version of super hit hindi serial Naagin — Mohabbat Aur Inteqaam Ki Dastaan aired on colors TV. It was produced by Ekta Kapoor under the banner Balaji Telefilms. Arjun Bijlani, Mouni Roy and Adaa Khan are the main actor in lead roles of this thriller show and Sudha Chandran plays the main role in negative shade. Mouni Roy is popular among Malayali audience through her role as Sathi in hit serial Kailasanthan on Asianet. Tanushree Dasgupta is the creative director of this tele series. Naagakanyaka is directed by Santram Varma,Chandni,Niraj,Lalit Marathe and Rakesh Chowdhury Creative director Naagakanyka ( or Naagin) story is wriiten by a team of writers Mrinal Jha,R M Joshi,Neha Singh,Ankush Nagpal based on the concept by Seema Shrivastav. Screenplay of the series is by R M Joshi,Neha Singh,Shivani Shah,Ankush Nagpal while the dialogues are by Rekha Modi. Naaga Kanyaka will be launched on Surya TV on 20th June, 2016. 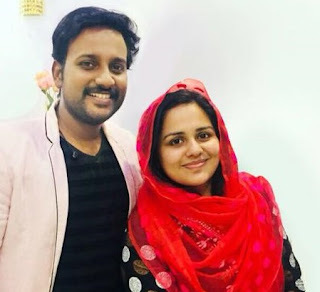 It will add to the list of dubbed TV serials currently telecasting on Surya TV including Mahaveera Hanuman, Balika vadhu, Sitara, Vaalsalyam and more. Surya TV is now behind Asianet, Mazhavil Manorma and Flowers TV in BARC ratings. In addition to this, the rating of most of the Malayalam serials on Surya TV is very poor. This new serial may be an attempt to improve ratings.